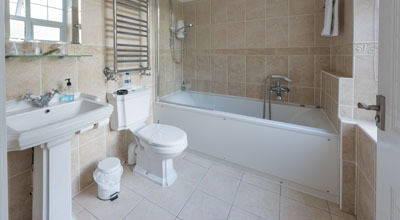 A friendly, comfortable and characterful guesthouse offering bed & breakfast in Ashford, Kent. 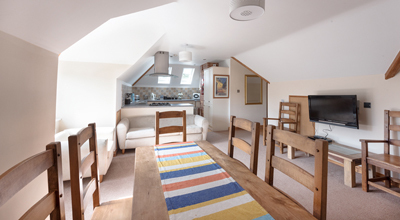 As well as en-suite double, triple, family and single bedrooms, we have a two bedroom self-contained apartment, ideal for longer stays. 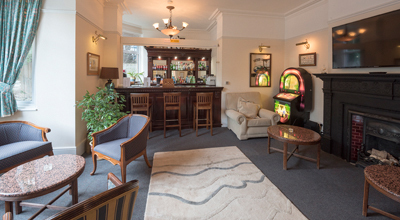 We have TV in all rooms, free WiFi throughout and a bar in our cosy lounge. 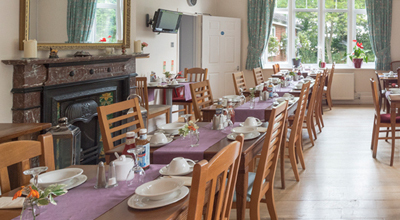 Breakfast is served in our delightful spacious dining room and we have fantastic panoramic views across the North Downs to Wye from the garden which is available to all guests. Though in a rural setting, we are only minutes from Ashford town centre, the M20 and Ashford International Station with London only 36 minutes away and Stratford Westfield Shopping Centre only 25 minutes away on the high speed train. Ashford Designer Outlet Centre is 10 minutes away by car and nearby Tenterden has some lovely boutiques, along with nice bars and places to eat. 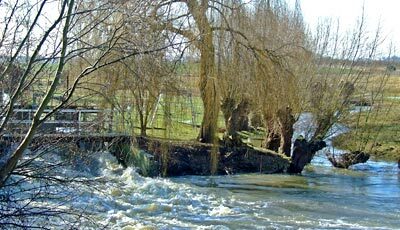 It also has a steam train which runs between Tenterden and Bodiam. Stations. At Bodiam station, the magnificent medieval castle is only a short walk away. The medieval town of Canterbury is a short drive away and the Olympic sized Julie Rose Stadium, William Harvey Hospital and Pilgrims Hospice are just down the road. Our private car park has ample space for guest vehicles including mini buses and coaches.